Provides general supplies and materials. Helps pay for camp tuition. Pays for camp tuition for 1 child. 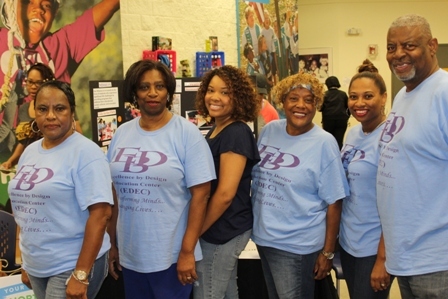 Excellence by Design Education Center (EDEC) is a service focused, 501(c)(3) non-profit organization providing supplemental and extended educational programs and services to underserved children, youth and families in the Greater Dallas Metropolitan area. Our mission is to empower children and youth to transform their lives by providing educational programs and services that address educational, social, cultural, and economic needs. 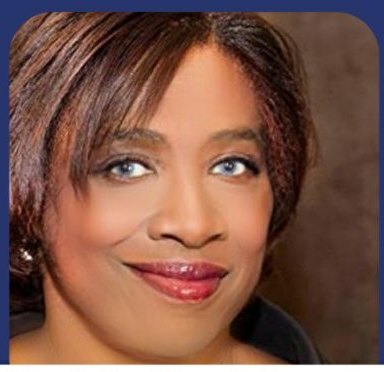 Excellence by Design Education Center was founded by Mary Miller, who have worked as a community college professor and school principal and brings 30 years of educational experience and expertise. She holds a teacher certification in English/Language Arts and Reading, grades 4-8 and a principal certification, K-12. She has 30 years of experience developing productive student-focused environments to maximize learning experiences in both regular and alternative education settings. Her guiding quotes are “I don’t care how much you know until I know how much you care” and that the art of educating is crucial because “Education is the strong foundation on which this nation was built, and it is the fabric that will continue to whole this nation together”. 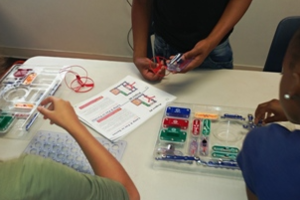 S.T.E.A.M (Science, Technology, Engineering, Art & Math) UP is a program aimed at getting upper elementary and middle school underserved students interested in Science, Technology, Engineering Art and Math. Program offering include STEAM camp, field trips, and youth conferences focused on S.T.E.A.M and is designed to be fun and interactive. We were able to serve 45 students in the S.T.E.A.M Up program during our 2018 camp. 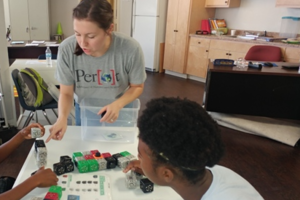 Our Robotic lab was conducted by the Perot Museum, one of our community partners who provided financial aid and discounted program rates for the robotic lab. 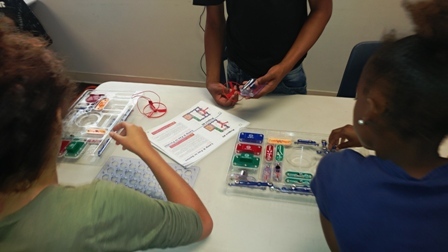 Our robotics camp help students learn how to build and program a variety of robots using STEAM materials and robotic software. Our simulated engineering camps give students the opportunity to design, evaluate and reconstruct building, machines and global structures. 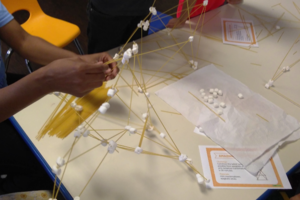 Students build math, critical and creative thinking skills and learn how to problem solve all while having fun. with operating expenses so that we can expand our academic and outreach programs to more children living in transitional and public housing. Purchase needed technology (IPads/ tablets) and software needed to enhance our program offerings. Increase the number of student we are able to serve. Please see our donations levels for suggested giving. In-kind gifts are also accepted. For in-kind gifts please contact Mary Miller by email at marymccrady@att.net. Your giving matters. Every gift, no matter what size truly makes a difference. Research has shown that summer vacation is one of the leading causes of the achievement gap among children and youth. 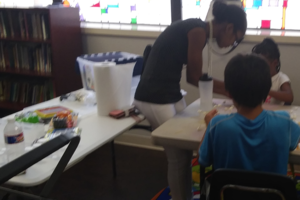 Children and youth who live in higher income neighborhoods spend their summer reinforcing their STEAM learning through camps and other STEAM related programs; however children and youth from financially disadvantaged communities have little or no access to STEAM enrichment program. When the new school year begins these children lag behind their peers who had access to STEAM programs. Gving to our STEAM UP program will allow children and youth to continue to ttheir creativity and imagination to explore, create and collaborate, while learning STEAM, that will help them in school and in life. We will also be able to expand our program to other transitional and public housing locations in underserved areas. ﻿Because of your generosity EDEC have served 581 children, youth and families. Excellence by Design Education Center (EDEC)is a 501c3 non-profit organization that works to remove barriers that inhibit student progress and impedes learning. Students receive the maximum level of support to guarantee academic success. 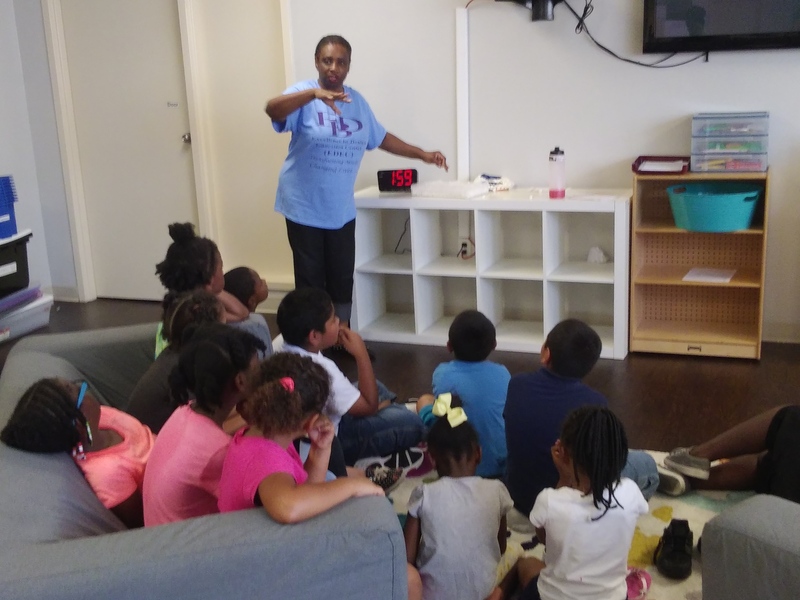 EDEC works with schools, learning centers and community organizations during the school day, after school, time out of school and during the summer. EDEC uses the “Whole Village” Approach. The “Whole Village” approach allows EDEC to develop the “Whole Child”. Programs and services address the educational, social, cultural, and economic needs of each child to help tear down barriers of children and youth who are already experiencing significant challenges and problems that place them at-risk of underachievement, school failure and/or becoming a dropout. Not only do EDEC address academic needs of children, but we also address economic and social needs. 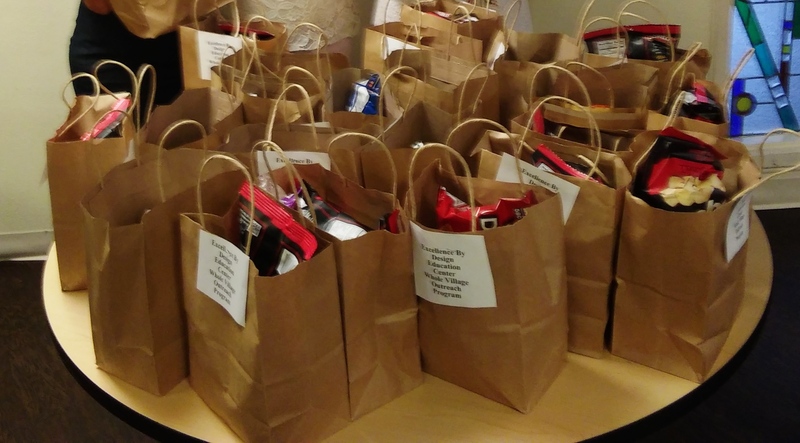 EDEC Outreach Program provides school supplies, uniforms and healthy snacks to children in need. 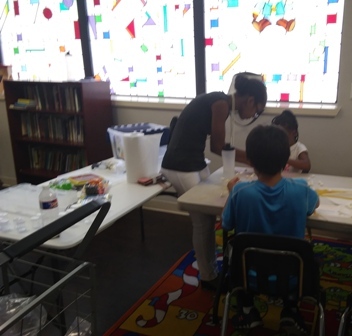 EDEC also provide school supplies and uniforms to schools impacted by natural disaster and recently provided school supplies and uniforms to three school campuses impacted by Hurricane Harvey in Port Arthur and Orange Texas. Currently EDEC operates 3 afterschool programs: (1)The Reach One Teach One Tutoring Program that provide tutoring to disadvantaged children and youth; (2) The I AM (Inspired and Motivated) Mentoring Program that is provided to children and youth ages 16-17 and (3) The IRISE (Intelligent, Resilient, Intellectual, Smart, Empowered) Publishing Academy where students write and publish their novels, memoirs, poetry, etc. (1)Adventures in Reading and Math Program; (2) The Aviation and Stem Educational Field Trip Series; (T3) he Moving Forward: Keeping the Momentum Youth Conference and (4) School Supplies Giveaway). The outcomes were improvement in academic performance, changes in attitudes about learning, increase in self-confidence, self esteem and self-perception of academic competence, motivation to learn, and excitement about the upcoming school year and program. 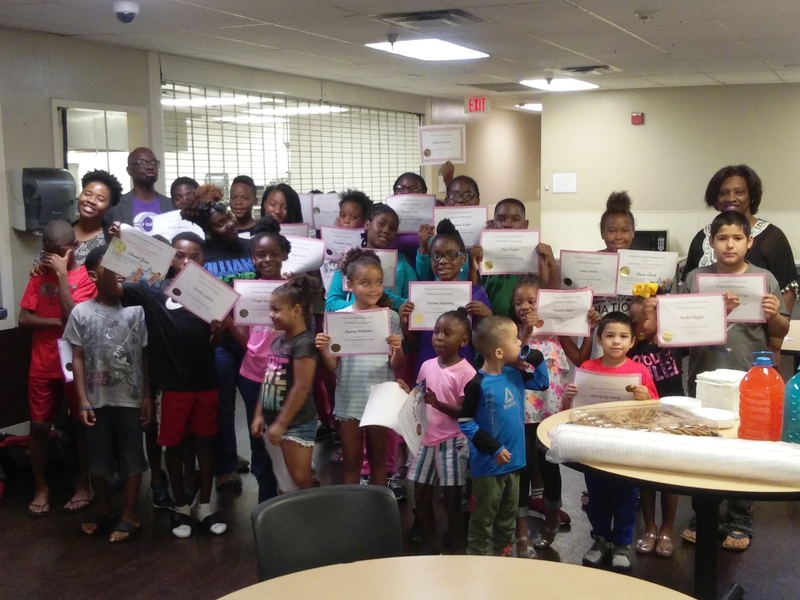 EDEC is seeking funding to help raise $6250.00 for the IRISE (Intelligent, Resilient, Intellectual, Smart, Empowered) Publishing Academy Summer Camp.